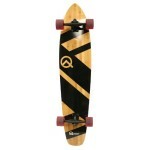 If you have ever wondered what the Churchill LTD longboard is just take a look what rider Josie has to say about it. It might be the perfect description on the particular board so far. 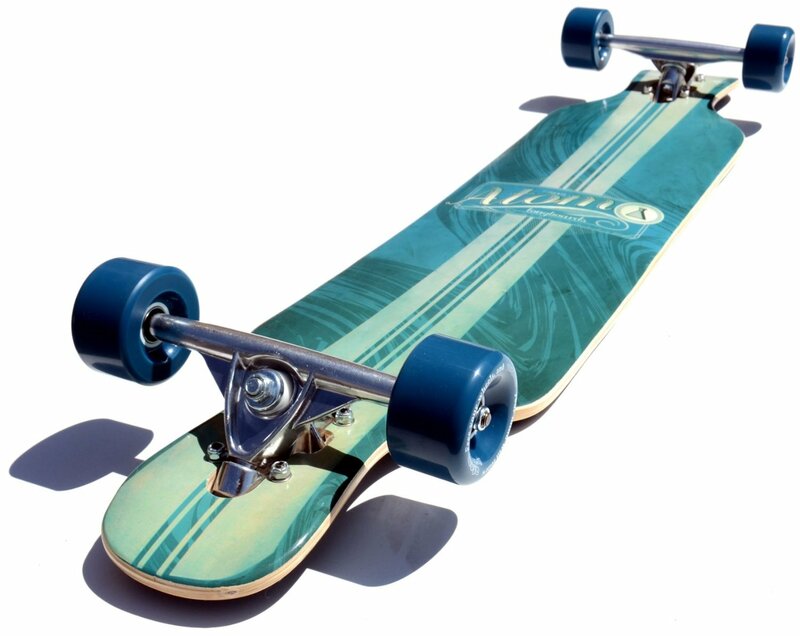 Share your longboard review. We pay you! Click HERE and read more. Alrighty, so, what is the Churchill LTD? Well you inquisitive little scamp I’ll tell you! Funbox is a distributer for a board company named Churchill, avoiding the details they make very cheap, very durable boards for dirt cheap. The LTD is one of their symmetrical drop through decks. I got this board with a friend, he bought the complete with the Randal II trucks and Funbox wheels and I purchased Paris II 180 trucks with Sector 9 skiddles which I will review later. Other than being a symmetrical drop through it has lots of neat little features and shapes that set it apart. Near the truck the mounting platforms are drops that assist in foot placement feet locking-ness. They are cozy! Initiating slides has never been easier. 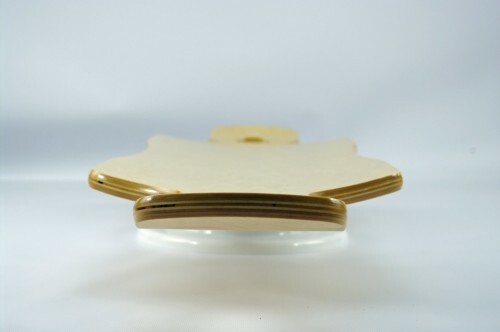 It features bowl like concave that flattens out towards the center and two kicks on either side. I say kicks but they are pretty situational, mostly for use in free style tricks like shuvit. They are there but your feet have to move quite the distance to make any use of them (you also have to force your feet out of those comfy pockets). The board feels spectacular for some freeriding and cruising. It’s low to the ground and the concave is really tight and lovable. It feels comfortable putting weight towards the board to initiate slides and is all around pretty smooth when in comes to slides. Downhill is not something you should buy this board for, it’s capabilities for sliding and a general cruiser far outweigh its ability for taking speed. It’s heavy. It is not heavy enough to be a pain to lugg around but you can feel it in slides. It’s heavy to kick out, not too big of a problem but compared to some lighter construction decks it’s much harder to kick out. It’s long 42″ long. It feels really nice to carve and ride with but it really adds to that weight factor. If being blank is a problem you can add that but with some spray paint or sharpies it’s a canvas. So what are my final thoughts on the Churchill LTD longboard, distributed by Funbox? It’s great! Drop through symmetricals are really popular with beginners and being very cheap it holds to that crowd. 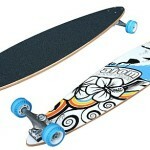 It’s a great deck for trying out new things, I wouldn’t take it 50 km/h+ but I’ve taken it 25-40 km/h and it holds up. It’s feels great for learning new slides and freestyle tricks. The LTD is a great deck that fits it’s role well and more than met my expectations. The LTD couldn’t bee a better choice for the casual cruiser or the freeride enthusiast, its concave and shape feel right and it loves to give that extra push to try new things.